Posted on March 2, 2006 by Alicia Bay Laurel	in Blog. 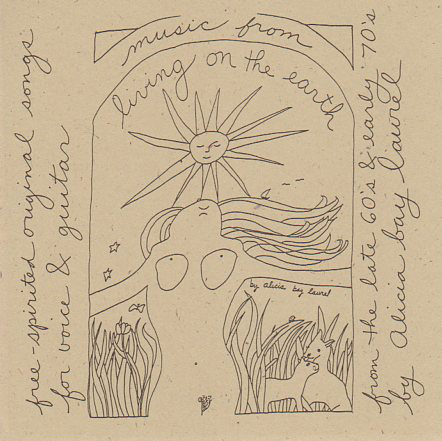 Last September I sang at the wedding of my dear friends, gorgeous young permaculture teachers and environmental activists Tara Robinson and Ryan Holt, who I met through performing music and stories during courses at LaÂ’akea Gardens Permaculture School in Puna, Hawaii. 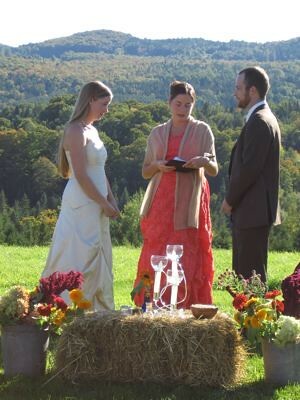 Tara and Ryan carefully planned every aspect of the wedding to harmonize with their ethics and principles. The invitations arrived wrapped in rich crimson recycled paper. 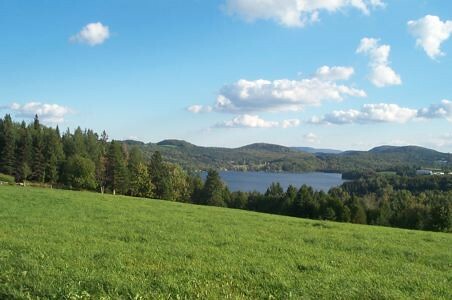 They chose a ceremony site on a high hill overlooking forested slopes and a lake in northern Vermont. All of the food was organically grown by local farmers, many of them friends of the bride and groom. The groom and his family personally prepared the rehearsal dinner. 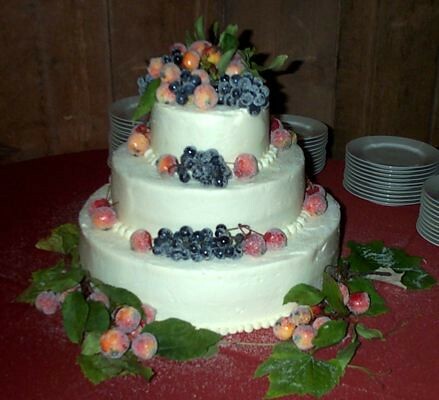 I loved the wedding cake, decorated with fresh glazed fruits. Organically grown grapes in the wine, organically grown apples in the cider; even the flowers (lots of amaranth and sunflowers) were locally and organically grown, and arranged by friends (including me). 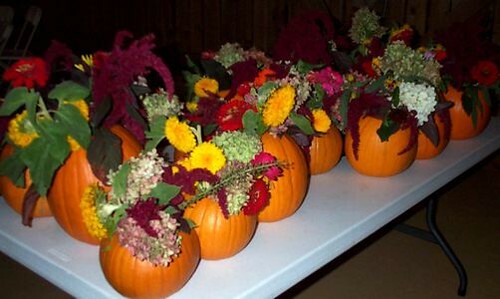 They used pumpkins for centerpiece vases! RyanÂ’s brother Sean, a glassblower, provided wonderful bridal goblets. 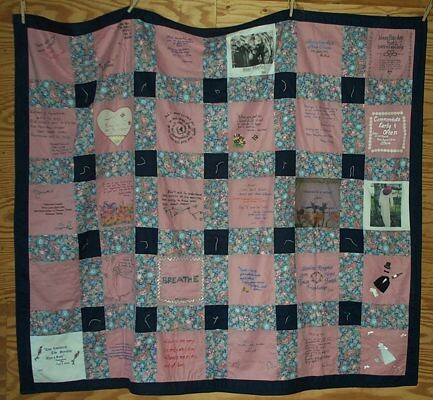 TaraÂ’s female relatives and friends each created patches with poems and pictures on them, and sewed them together into celebratory bridal quilt that hung on a wall during the reception. The day after the wedding, the family gathered for a bonfire by the lake to enjoy the luscious leftovers. Nothing goes to waste in this family!